We charge per project, costs differ based on the scope of the project. Home Staging or Color Consultations start at $200. 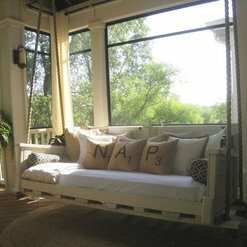 15 Projects for No Place Like Home Staging LLC. Burdick Street Staging Libertyville IL. 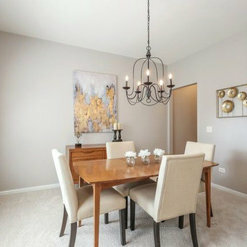 Sierra Place Staged Home Gurnee IL. 13 Reviews for No Place Like Home Staging LLC. Working with you and Rick was a real pleasure. Selling your home is so stressful, I really like to help alleviate some of that stress and make sure every clients home looks lovely. Thank you so much for your kind words and for posting photos. Making an appointment with Richelle was easy and she came out quickly. 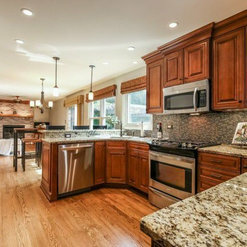 She walked through my home and was able to give me great advice to help my home achieve the look to sell. And sell it did - - was under contract in 2 days! Thanks Richelle for your assistance! Thank you , it was such a pleasure to work with you and Bob. Best wishes on your new adventures in Minn. Your unique home was really fun to make it special and standout in your neighborhood. Richelle was a pleasure to work with. Her initial advice was honest and thoughtful regarding decorating modifications but in no way offensive. The staging she did was simple but chic and stylish. There is no doubt that her work assisted in the positive remarks we received after showings and viewings online as well as the final offer on the house. 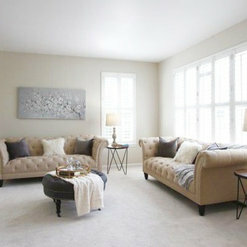 We would highly recommend Richelle and “There’s No Place Like Home Staging”! Thank you so much for your kind words. It was a pleasure to work on your cute home. Enjoy Florida and all it has to offer. I am a very active real estate agent who works locally and have used Richelle home staging services many times. 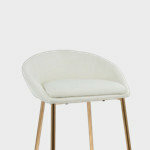 Her professional attitude and extended knowledge in design is very apparent when working with her. She has taken homes and turned them into magazine showing homes in such a short time. What I was most amazed was the overall cost and how low it truly was at the end! She works effectively within any budgets and timeframes. She is instrumental in getting all my homes prepared to sell. I also see great value in having her used once settled into your home, to create the right home that displays your very own personality. Why wouldn't you spend the time sprucing up your own home? We live in them and might as well enjoy them!!! 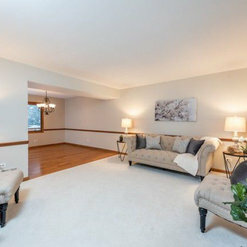 Richelle does a great job in staging and making a house super sellable for today's buyers! She has a real "eye" for great colors and furniture, art work to make rooms and a house a real HOME! 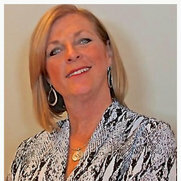 She has helped me with new construction,vacant homes and lived in homes that need a face lift. I would highly recommend her for making your house looks its very best to sell fast for top dollar!! Thank you so much for your kind words. You are a great Realtor to work with, You have great response time, really know the market and you are always willing to go above and beyond to get a house sold. We make a great team, thanks for all your support. Richelle knew just what to do to use our furniture and incorporate new touches to stage our home for a quick sale! Thank you Teri. So happy you had an offer that first week while you were on vacation. Enjoy your new home. It was a pleasure to work on your home. Realtor hired and paid-do not know the project cost-estimated below. Shelly did a great job staging our home. We had taken the property off the market in order to upgrade and stage. Shelly did a nice job of putting things together and was relentless in making sure we had the right furniture and decor to make the most of our home. She was very available, answered questions and texts very promptly. Our house sold after being back on the market for a little over a month. It sold in a tough market at our price range. 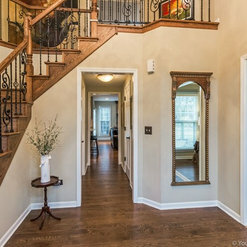 We felt the staging was helpful in getting our home sold. We'd recommend Shelly-she will take care of you. Thank you for your kind words. You and your Husband were great with all the changes and upgrades we asked of you. I know it was a lot of work, but at the end of the day your home turned out lovely and you got to enjoy it for a little while. The hard work pid off , your home sold quickly and now you can move on to the next chapter of your lives. I truly enjoyed working on your home and seeing the transformation to the "Wow Factor" Your home was one of my favorites this year. 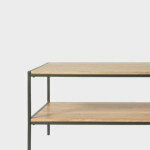 Amazing design/stager. 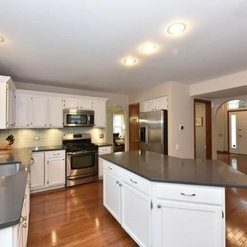 House needed some serious updates and stagung before listing it to sell. Very quick to assess what was going to be worth updating, gave me some options we talked through and was extremely helpful and fast in executing the vision. Got 3 offers within first 7 days on the market and I know it was all driven by her knowledge and foresight of how to optimize aesthetics and staging of my home. Stunning from top to bottom yet mindful of budget as well. Couldn’t be happier to give her 5 stars. You won’t be sorry. Thank you for your lovely review. You were such a pleasure to work with and your home was a fun project. Thanks for letting mr go a little "Glamorous" with the lighting fixtures. I am sure the new home owners will love your home as much as you did. I am always happy to help you with any project. Amazing job! 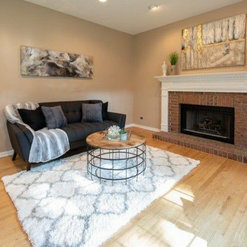 Richelle recently staged a vacant home that I had listed and did a fantastic job! Homeowners were thrilled with the outcome and feedback has been overwhelmingly positive. 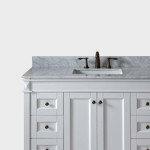 Richelle worked tirelessly to completion and has an eye for what is appealing. She is a true professional! Thank you for your kind words. 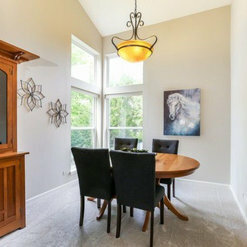 Working on your listing was really fun and I never get tired of seeing the transformation of a staged home. Looking forward to many more together. Shelley did an outstanding job of staging our home - we could not believe it was the same home! From selection of furniture to accents, colors and use of various fabrics and textures - she made our house look updated and fresh. She was very easy to work with and I would highly recommend her services. Words cannot describe our wonderful experience with Richelle. She took all of the stress out of getting our house "show ready" for pictures and showings. 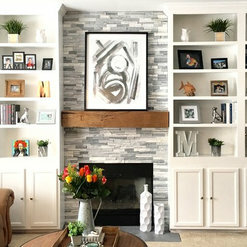 She was quickly able to see the areas in our home that needed "brightening up" to engage potential buyers in wanting to schedule a showing of our home. I firmly believe we got a contract on our house so quickly in large part due to her efforts in making it look beautiful. I highly recommend Richelle for staging as well as interior design. She is so gifted and talented! You won't regret it! You and Greg were so great to work with, you did everything I asked of you and at great speed. Your home is lovely and this was a first for me to have a home sell in 24 hours. Kuddos to you and Greg for all your hard work, it truly paid off. 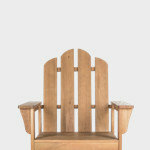 I worked in tandem on a project with Shelly and she was professional, creative and proactive. Her ideas regarding both design and staging were right on and I feel 100% comfortable recommending her to help people sell their homes. Thank you for your kind words Cathy. Working together on something we have such a passion for is always a great time. You are a very gifted Designer and it was a pleasure to work with you. 7 Ideabooks for No Place Like Home Staging LLC. 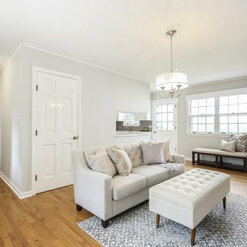 JennIfer Moore reviewed No Place Like Home Staging LLC. 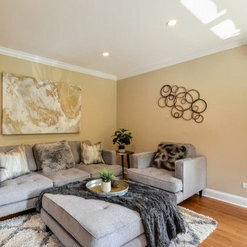 bethany4simpson reviewed No Place Like Home Staging LLC. 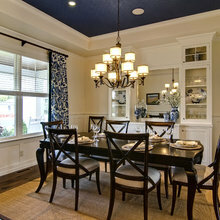 Commented: Paint colorsHi, The paint colors used are Chantilly Lace OC-65 on Ceiling and trim. the walls are Cloud nine 2144-60 and railings is just a basic high gloss black. The paint is Benjamin Moore. 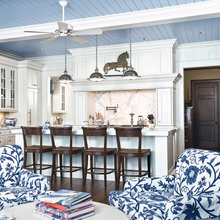 Commented: Could you tell me what white shade you used for ceiling, trim and walls?White walls we used Benjamin Moore Cloud Nine 2144-60 and for the ceiling and the trim we used Benjamin Moore Chantilly Lace OC-65.